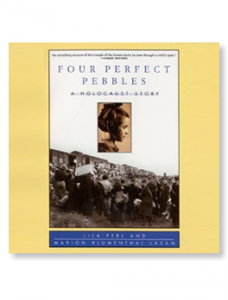 Four Perfect Pebbles is now available in E-book format and can be ordered as a Kindle Edition through Amazon. 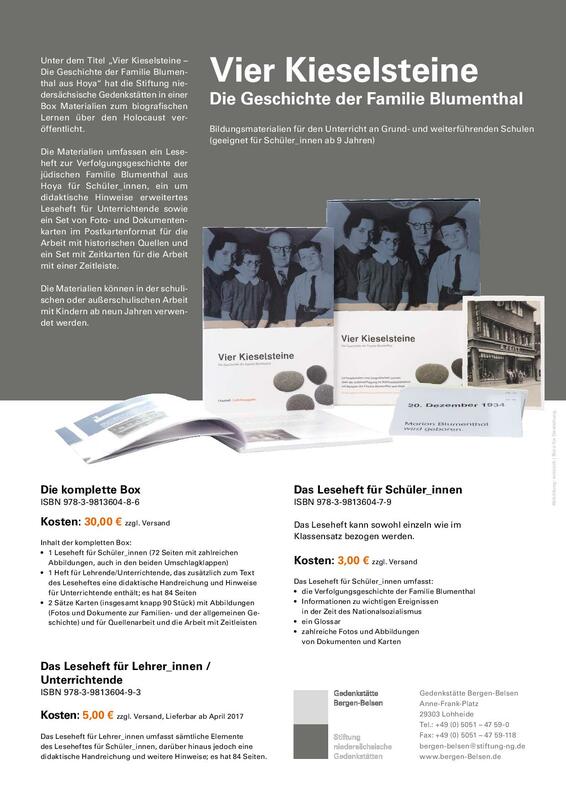 Vier Kieselsteine — an easy-to-read version of the German edition of Four Perfect Pebbles. 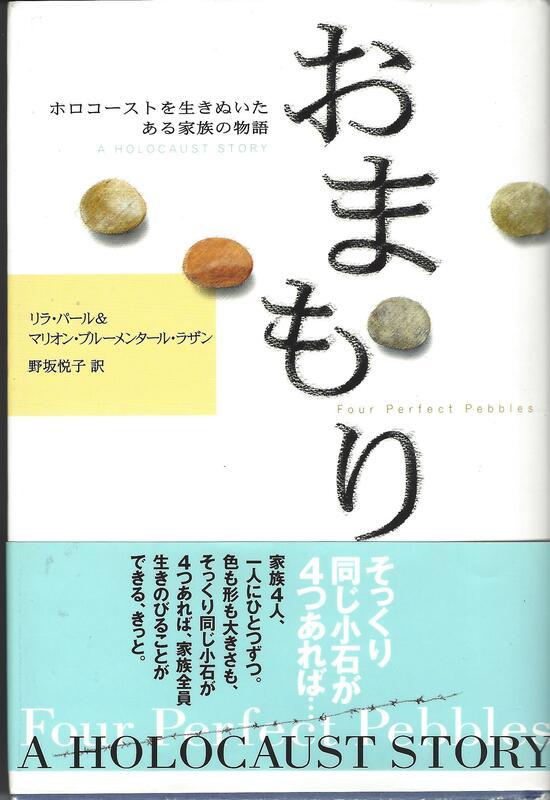 Four Perfect Pebbles is available in public libraries. If not on the shelf, please ask your librarian to order a copy for you. 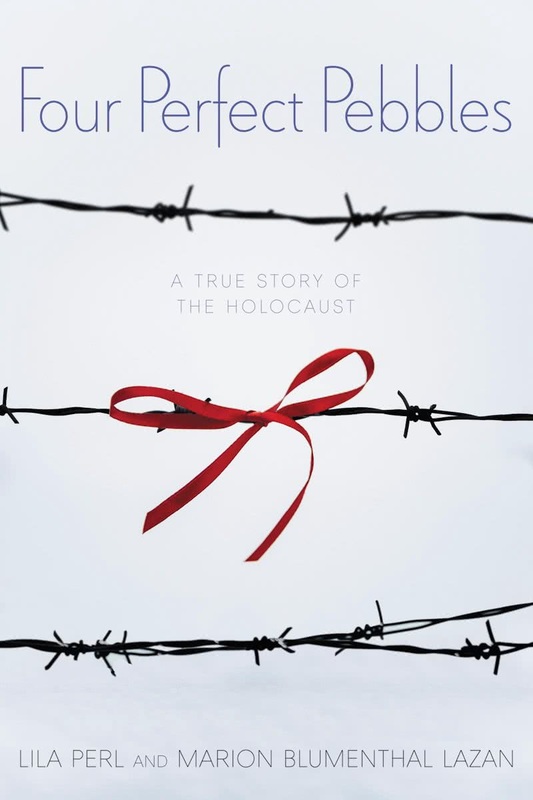 A 58 minute DVD color documentary. 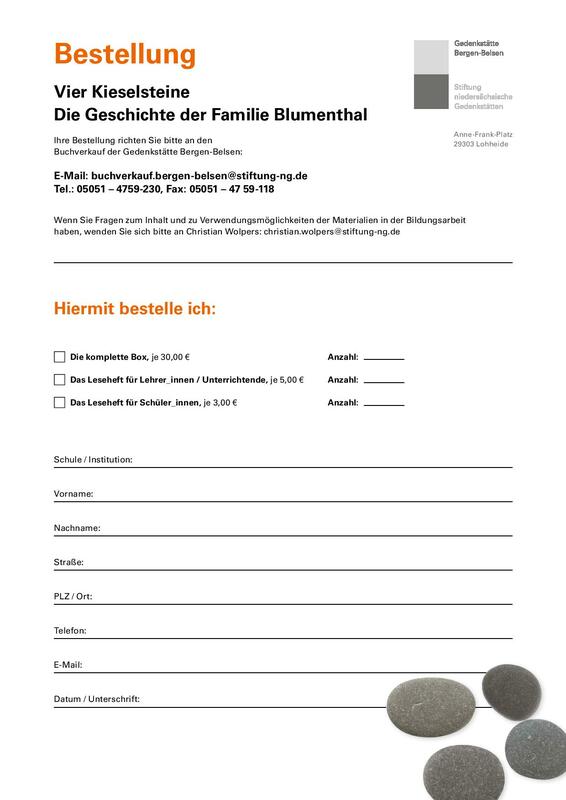 Some graphic depiction of atrocities. 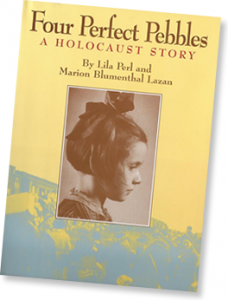 In 1938 the Blumenthals began their journey to America as refugees from Nazi Germany. Just before departing from Rotterdam, the Germans invaded Holland, and bombed their ship. 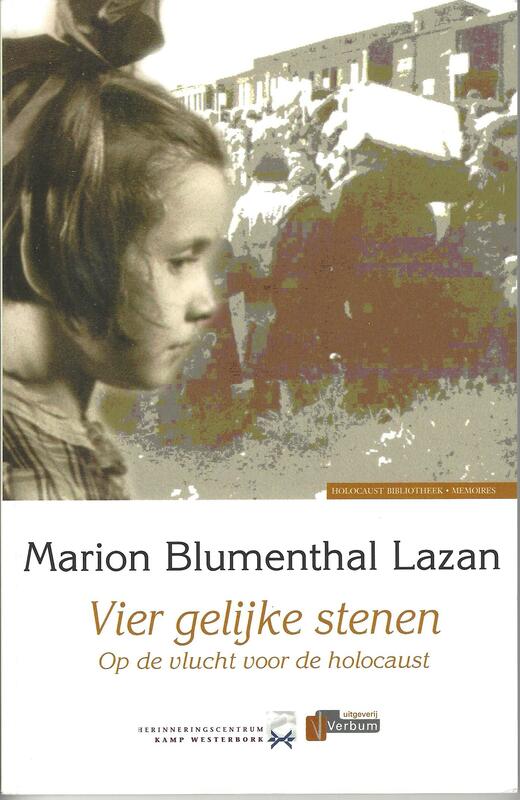 And so began more than six years of horror in Hitler’s camps, and an incredible story of near escapes, dashed hopes and tragedy. 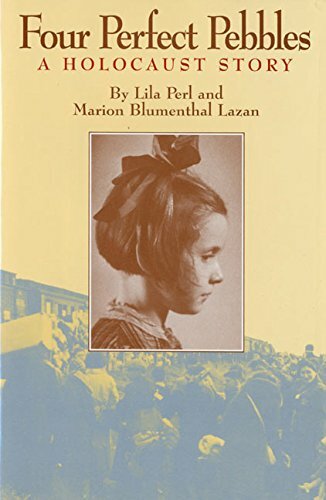 At liberation, Marion Blumenthal was ten and weighed 35 pounds. 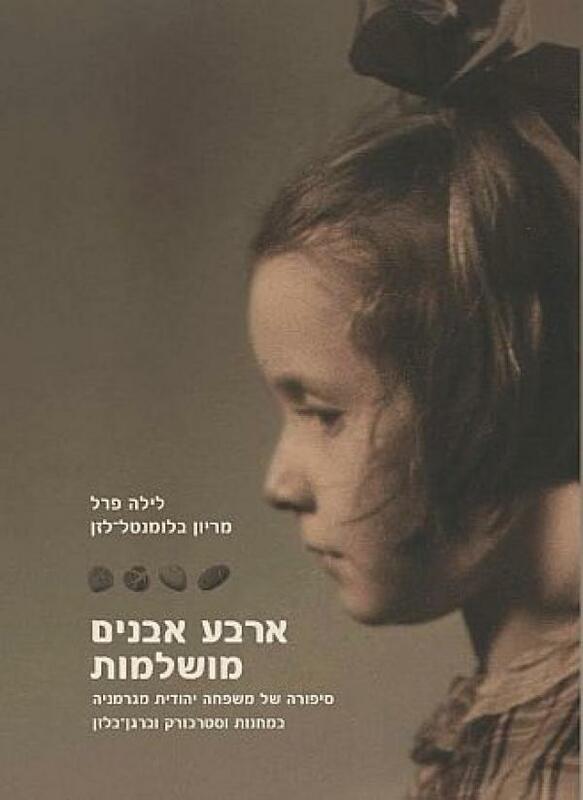 Today she bears witness as the last generation of living Holocaust survivors. 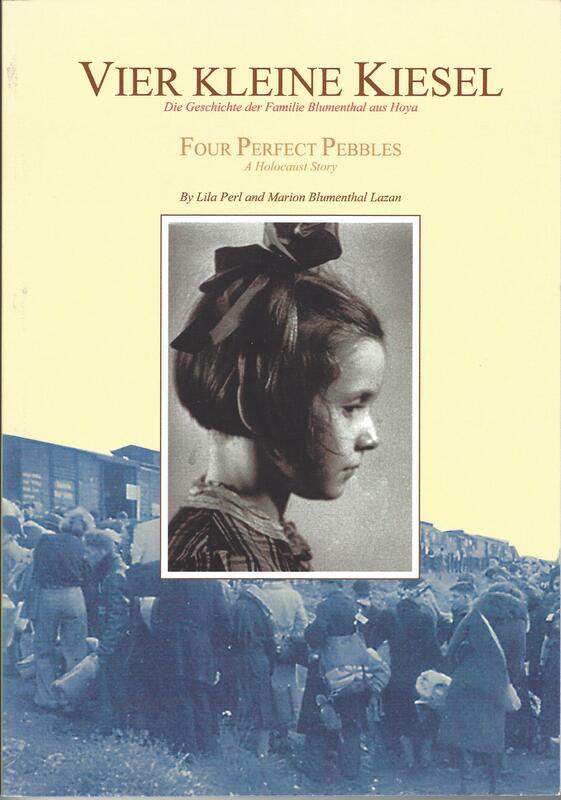 Her memoir, Four Perfect Pebbles, co-authored by Lila Perl, is in its 23rd printing, and is taught in schools worldwide. 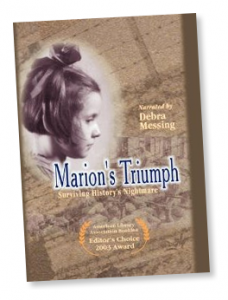 MARION’S TRIUMPH is a unique Holocaust documentary that speaks to a young generation. Illustrated with rare footage, photos and animated flashbacks, it features surviving Blumenthals and narration by Debra Messing (star of WILL AND GRACE) 58 minutes.